What are you sacrificing in screen door features for screen door durability? Depending on where you are geographically, you will have different must have features in your screen door. Also depending on your home and lifestyle, the screen door features will vary accordingly. What are the most frequently requested screen door features we see, and why? 1. Security Screen Door Locks and Handles. No matter where you are, or what your lifestyle- this is one feature every homeowner is concerned with. Unfortunately, most have become accustomed to the simple switch lock that is standard on screen door and storm doors alike. Most people simply want to be able to have their front door open to let the fresh air through while they are in the back deck or patio. For others, the additional level of security is reassuring. 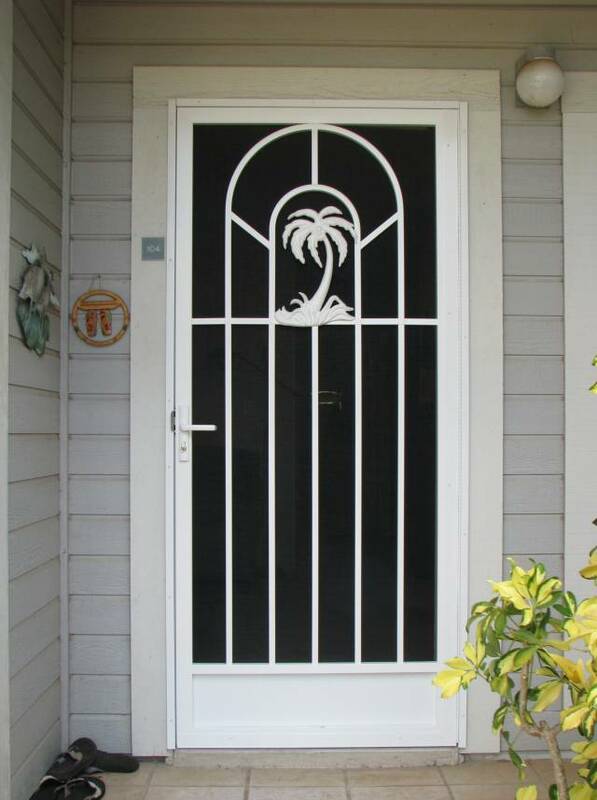 Your screen door design can also be a factor in the security of your screen door. 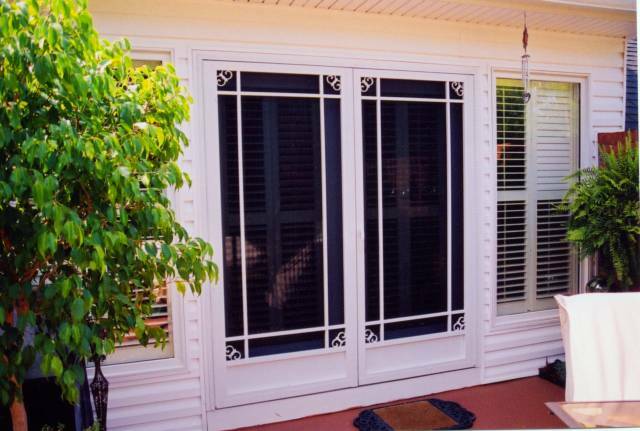 Check the PCA Screen Door Design Gallery for more screen doors with security and style. 2. Insect-proof screen doors with bug mesh. Not all standard screen door have the bug mesh grade screen to keep out harmful mosquitos and no-see-ums. But having an insect-proof screened enclosure or patio is not just about the screen type. What is the most common screen annoyance? The screen pops out, the screen isn't connected to the door, it flaps in the wind! Of course pests are going to come in! 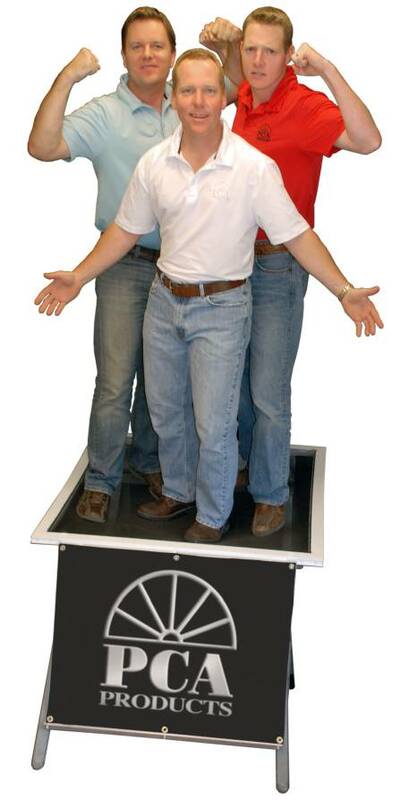 What if your screen stay attached to the door even with 3 grown men on it? Surely it can stand up to your pet, kids, or any pest. 3. Screen doors for french doors. The very reason for having a french door is to allow more of the outside in! Either for an unobstructed view or to let the fresh air in. We see a lot of coastal and waterfront home owners requesting a better screen system for their french doors. Can you have have all of these popular features in one screen door product? That was assembled with quality and durability as the goal? What about screen door style too? What if you could sell, (or buy!) a screen door that lasts for decades instead of a year or two? Click to learn more about how to buy PCA Screen Doors.